Cheesy Auto is the result of crossing the renowned UK Exodus Cheese elite clone and a cannabis ruderalis strain. After seven generations of breeding, we've developed a high-quality ruderalis hybrid with the main characteristics of UK Cheese. Suitable for indoor, outdoor and guerrilla crops. 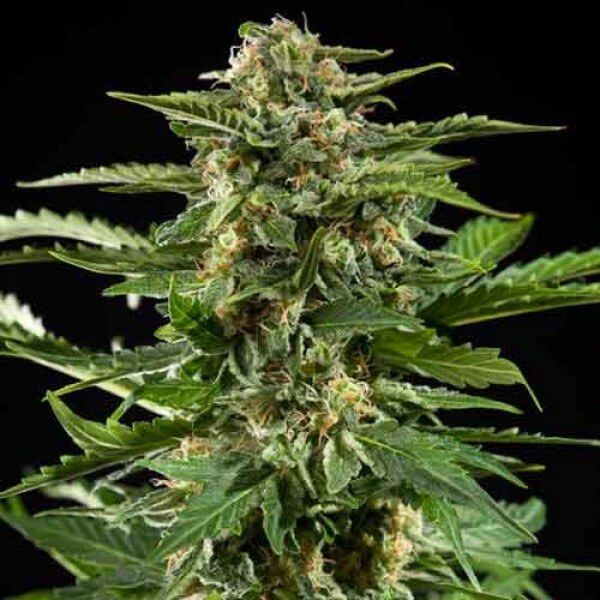 Cheesy Auto is an easy to grow hybrid with robust and compact structure and good lateral branching. The distinctive dark green color of her leaves clearly reminds of the UK Cheese. Trichome production once into bloom is awesome, which makes it ideal for resin extractions. Outdoors, plants grow up to 1 meter in height, being easily camouflaged. They are ideal for growing off-season, also in areas close to the equator, where the photoperiod remains close to 12 daily hours of light. For optimal root development, Philosopher Seeds recommends transplanting directly into the final pot after the germination of the seed. Cheesy Auto will be harvested around 65-85 days later. Indoors, a 20/4 photoperiod is ideal to get the most out of her. In small spaces, use a 12/12 photoperiod to limit the stretch of the plants. Cheesy Auto subtly blends the strong scent of the legendary U.K. Cheese with a particular sweet flavour reminiscent of berries. The effect is balanced, offering a very pleasant state of physical relaxation and active mind, ideal for creative moments where some inspiration is needed.